The University of Georgia participates in the Academic Common Market, an agreement among states in the southern region for sharing unique academic programs. 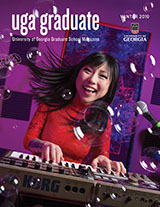 Residents of the participating states who qualify for full (unconditional) admission to the specified graduate degree program and who are approved by their state coordinator may enroll at the University of Georgia on an in-state tuition basis. To qualify for waiver of the non-resident fee, a student must establish eligibility for participation in the Academic Common Market by the midpoint of each semester. Eligibility is not retroactive to previous academic terms. For further information about the Academic Common Market, persons should contact the Assistant Registrar’s Office at (706) 542-9362, or the Southern Regional Education Board, 1340 Spring Street, N.W., Atlanta, Georgia 30309.